Aankondiging - FOSDEM afterparty (2019-02-06) | MADspace - de leukste Hackerspace van Eindhoven! With a group we went to FOSDEM, the biggest Open Source conference in Europe FOSDEM. A weekend filled with the coolest talks on Open Source. On Wednesday 2019-02-06 we share our findings and highlights of this conference! Join us this evening and enjoy our memories about this great hackerweekend! 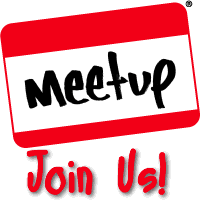 Register via mail or via our meetup.